Contemporary media production demands efficient and intuitive workflows. 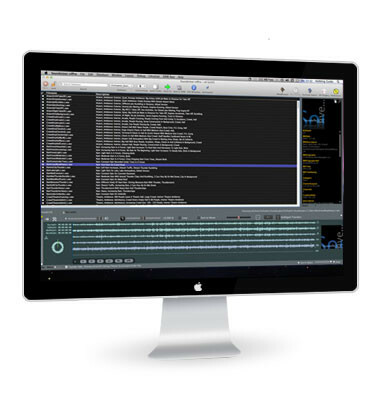 Soundminer offers powerful programs that interface with archiving and production software. The Soundminer programs offer comprehensive tools and features for the administration of audio material (both music and sound files). 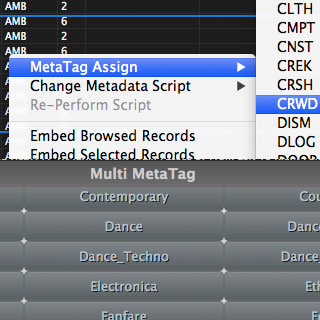 Even large archives are easily and efficiently administered and browsed thanks to the unified metadata structure of many sound effects and music labels. Modern workflows not only demand a dependable search engine for the archive, they also need the complete and guaranteed integration of Soundminer programs with industry-standard production systems. 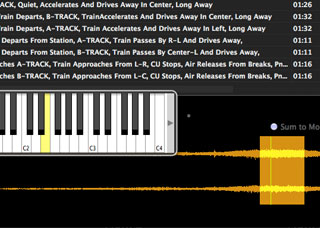 You can search for sound files with Soundminer and transfer them directly to your editing system. It's simple and uncomplicated. 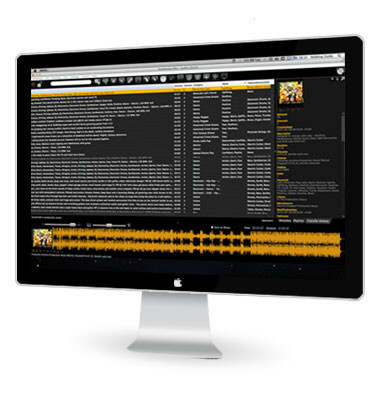 The Soundminer versions offer a multitude of features to administrate sound and music archives. 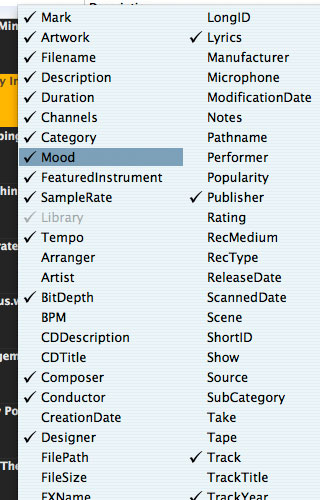 Thanks to the almost universally accepted Soundminer metadata standard, most current production-, mood music- and sound-archives can be ingested quickly and easily with Soundminer. 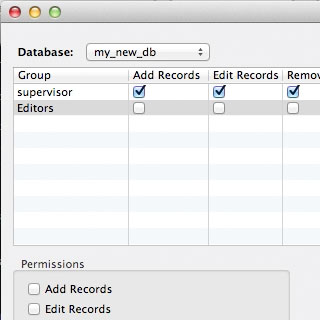 Soundminer databases for music files contain special data fields, e.g. composer, mood, publishing year, publisher—as well as other music-related fields. The Soundminer table template for sound databases contains only the relevant fields for sounds, e.g. category, main and sub-categories, recording location as well as other pre-existing fields. How you wish to organize your archive and which tools you ultimately find most helpful in the process, is entirely up to you. You can create various databases for various archives. 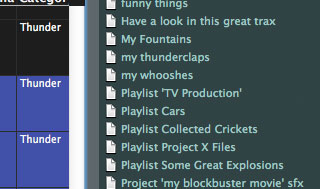 You can create playlists to have instant access to the best sounds in certain categories, without having to search the entire archive. You can fill folders and transfer them directly later on; or you can use the meta-browser to scroll through the archive. Soundminer is not only a tool to read and search metadata, it also contains comprehensive tools and features to change and administrate metadata. 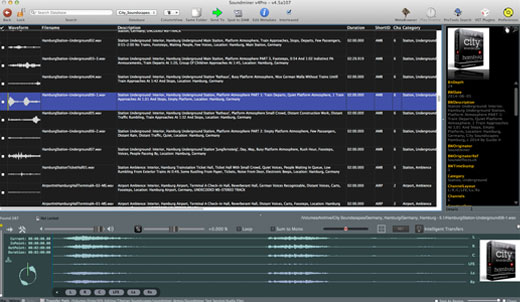 Soundminer comes with pre-designed metadata table-layouts optimized for music and sound files. Soundminer v4.5 now also offers new, country-specific metadata fields to help use the data in a multi-language environment, but without losing the original data fields. Now you can ingest metadata via text import, write directly into the data fields, use the many options of the new multi-metatag editor and administrate keywords in individual categories with a click of the mouse. The Search and Find function also allows you to make corrections to selected data, or even throughout the entire archive. The powerful metadata admin tool allows you to optimize metadata, change it or routinely generate it. Apart from conventional search and transfer functions, the Soundminer programs also offer a set of sound design tools. Soundminer HD Plus and V4.5 Pro come with a high-quality pitch-shifter, to change the pitch of notes or sounds in real time. All changes can then be transferred immediately into your editing system for immediate access. Alternatively, the data stream can be recorded with all modifications included (only Soundminer v4.5 PRO). 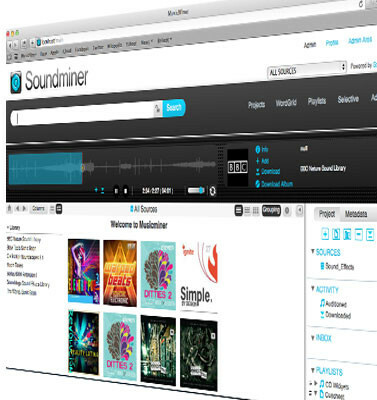 Soundminer can be used in a network with a centralized server. Modern workflows can be easily streamlined like this, including the distribution of administrator rights. You decide who gets access to which archives. Soundminer Server administrates your clients on every level - from a small project-based studio to a gigantic media conglomerate with a plethora of users. 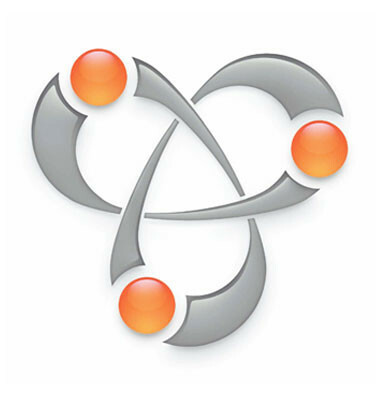 Soundminer's server administration supports Apple systems (Soundminer V4Pro and HD Plus) as well as Windows (HD Plus) - all from the same databases. 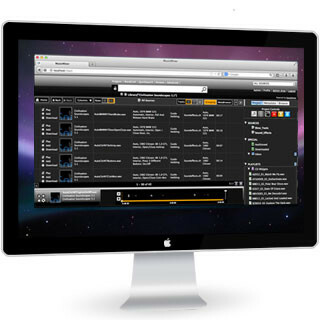 The Soundminer Server solutions guarantee a streamlined, cutting-edge workflow. With the comprehensive and far-reaching features of Soundminer V4 Pro even the biggest archives remain easy to maintain. The maintenance of archives is fast and uncomplicated - as well as accessible immediately to all users thanks to the network compatibility. For media producers with a high number of users, Soundminer offers a web-based solution with access to the archive. 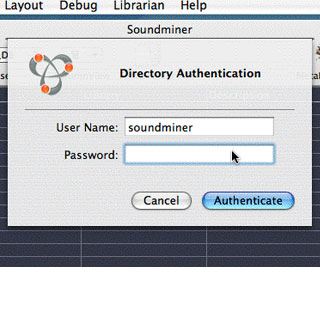 The MusicMiner webportal allows users to access the archive without having to purchase the set of tools offered by HD Plus or Soundminer V4 Pro. MusicMiner can be used for research purposes or to collect audio material for productions via its folders and playlists function. These lists can then be shared and exchanged with other members of the group. Audio material can be downloaded locally (depending on administration rights). MusicMiner can be used with any internet browser and allows access to all archives that you make available. You decide who gets to access or change what - down to a single user, if need be. With MusicMiner, an unlimited number of people gain access to your archive. By setting up user circles, you can grant download rights to a number of selected people. This way, a great number of people gain access to the archive, but the overall number of licenses required for sound files and music stays low. With Soundminer Server, you not only maintain an orderly structure in your archive, you also keep track of the access rights for the archives. You decide who is granted the right to access a particular archive. This way you can easily administrate the user licenses of sound archives.